I love Cinco de Mayo, could it be because I am Mexican American? Sure, but besides the nachos and tacos that are mostly associated with this holiday, we are able to celebrate a wonderful vibrant culture. I had the pleasure of living there for 6 months when I studied abroad in college. 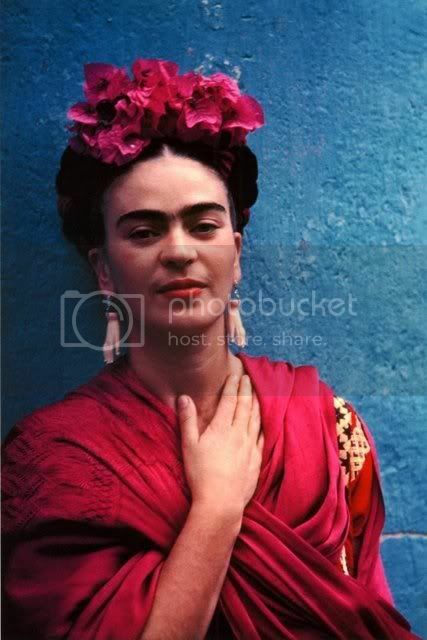 One of the places I visited was Frida Kahlo's house in Coyoacán. She's known for her artwork and dress, but once you step into her house and look at her diaries it is apparent that fashion or style was not something she did. She was the epitome of art is life, she lived her life as if she was art. That is why she is still constantly a source of inspiration for so many people till this day. "I paint myself because I am often alone and I am the subject I know best." Her self -portraits illustrate that her beauty is not the cookie cutter kind that we are mostly exposed to, but her appeal is that her beauty was the imperfect. 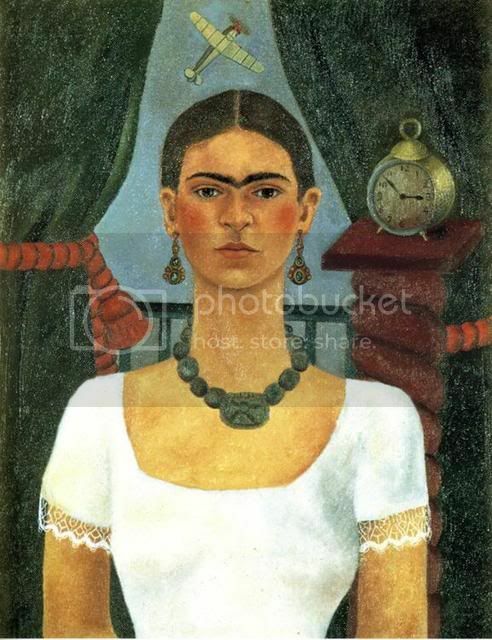 If you read about her life, you find out that there was a lot of pain - physically because of her accident and her inability to have children - emotionally because of her tumultuous marriage with Diego Rivera. Even with all of those layers, her portraits and her dress never lacked color or vibrancy. She took her pain and she used it to enhance her art. 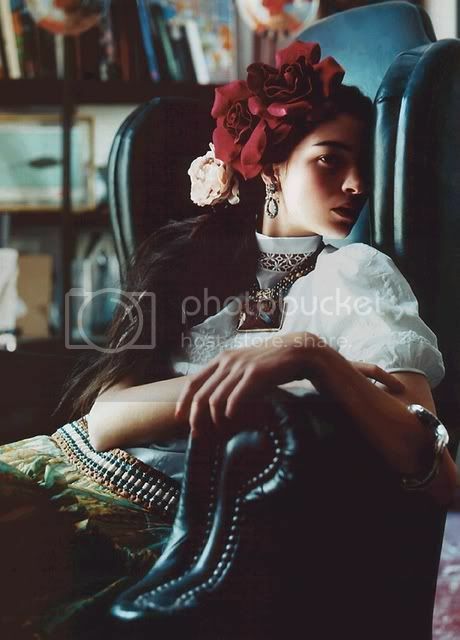 There have been many inspired Frida Kahlo editorials, but this one from Harper's Bazzar from 2001 stands out to me. It's not overly sexual and even though it has the same kind of old fashion aspects from Kahlo's time you can still believe in the moderinity of it. I believe that she will still continue to be a source of inspiration for years to come. 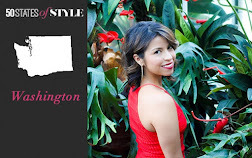 In fact some of her elements of dress are part of trends that are pulsating today, such as; flowers in the hair, layered jewelry, and mixed patterns. I don't know how you felt about the Salma Hayek biopic, but I always thought it was a damn good movie. Pretty cool little feature! 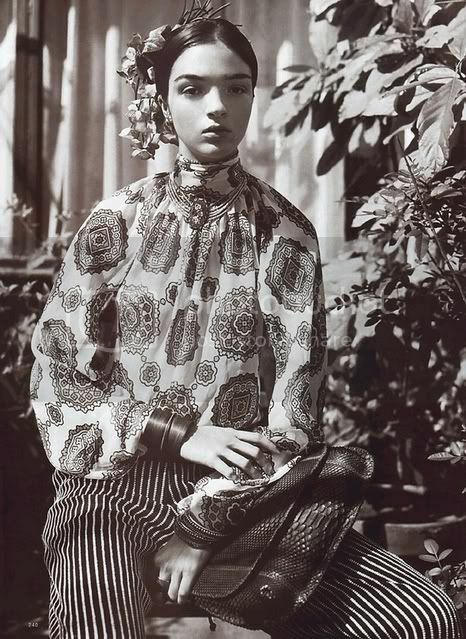 I think Frida Kahlo has always been a cultural inspiration, if not a full blown fashion icon by now! I would love to wear a bouquet in my hair!